These are the flat, green bean like beans that, when sliced, look like an x. They are generally available in oriental groceries. 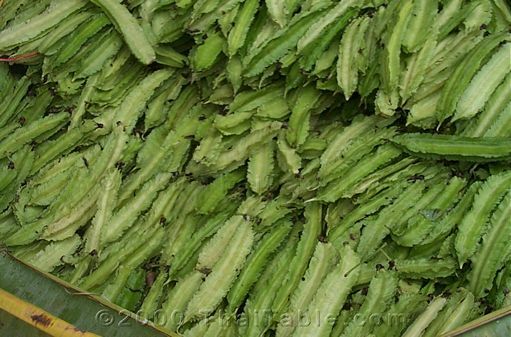 These taste about the same as green beans that are common here in the US, but look more exotic. If you feel fancy, you can substitute them for green beans in dishes like tod mun.